Since our inception 25 years ago, we have helped over 4000 rural and regional students with more than $8 million to achieve their education ambitions. Our alumni are now working across the range of sectors including the professions, industry, government and as community leaders. All share an understanding of the importance of education and the desire to give back to their communities. When you receive a CEF scholarship or grant, you automatically become a member of the CEF alumni family. Alumni membership is free and opens up a range of benefits from mentoring and networking opportunities to speaker events. If you are a CEF alumni, please 'Reconnect Now' via the link below. Together, we can help inspire the next generation of the CEF family. We look forward to hearing from you! CEF offers so many opportunities outside of the monetary benefits, a network of support and a community who has your back. More than the financial support that it offered, receiving a CEF scholarship feels like a huge vote of confidence in you and your abilities. The grant gave me self-confidence in my aspirations and a sense of responsibility to show CEF and my local foundation of Monaro that I would make them proud. I’m a great example of CEF giving people from all backgrounds and walks of life an opportunity to achieve more than they ever dreamed of. It says ‘we believe in you’ – and that really counts at one of the most daunting times in a young life. As promised, we will be starting to offer some alumni benefits this year! As this is a very new idea, at the moment we are calling for expressions of interest for various programs and initiatives. Be sure to have a read below and register your interest and, if you have any ideas we would love to hear them! Are you keen to meet some of your fellow CEF alum? Click on the button below to register your interest. If there are enough takers, we can't wait to put in an after work event for you with some drinks and nibbles, and a great guest speaker. You will be able to mingle with fellow professionals, CEF alumni and members of the CEF board and staff to see what hints and tips you can come away with to take your career to the next level. Many of you have indicated a willingness to want to give back to CEF, and this is one way you can do just that. We value your input, and are looking to form a focus group of past CEF recipients to chat with about ways to give back - whether that be blog content, as mentors to rural and regional first year students or through regular giving. We know from your feedback that it is not only the financial support you received from CEF that was important, but also the community and personal support you received from your local foundation. This idea is in its very initial stages, and we promise we won't take up too much of your valuable time. If you would like to participate in a focus group about all things CEF and how we can make an even bigger impact, we would love to hear from you! For ag scientist Anna Ingold, help from CEF has made all the difference. “It inspired me to be ambitious, created a supportive network and opened doors,” she says. 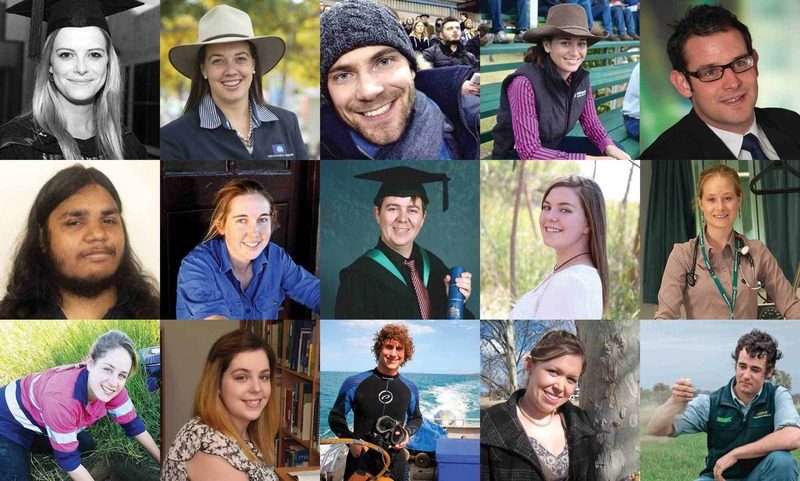 In 2010, CEF offered Anna a small grant that enabled the then 18-year-old to move from her home town of Cootamundra in southern NSW to Wagga Wagga to study Agricultural Science. The grant was made through CEF’s local foundation at Cootamundra, whose community-based members recognised Anna’s potential. After being awarded her degree, Anna is now back in Cootamundra and working to give something back to the community that put its faith in her.